The use of an Apple ID for a perfectly legal purchase was the key piece of evidence that has enabled the Department of Homeland Security to identify the man they suspect to be the owner of the biggest pirate website on the net, KickAssTorrents.com (KAT). Kanye West must actually be $50 million in debt like he claimed, as today he’s getting called out for exposing his own illegal downloading activity in a tweet. You might have heard some discussing the state of Apple Music on the iPod nano and shuffle, two products that just got a minor facelift alongside a larger refresh for their bigger brother, the iPod touch. And you might have already guessed that streaming to the devices was a no-go from the lack of Wi-Fi capabilities, but it turns out you won’t even be able to store your offline Apple Music collection on the devices either. After much controversy surrounding the surprise release of a public iOS 7 jailbreak from well-known jailbreakers the evad3rs, the team has published another open letter to clear up some questions and concerns related to the release. The biggest questions many are still asking are related to why and how the group made a deal with Taig, an app store of sorts that was installed on jailbroken devices in China, while not including an updated Cydia store in the release. While the group cleared up much of the situation in its first letter and removed Taig following piracy concerns, the latest letter addresses questions specifically regarding if any money was exchanged with Taig. It also expresses disappointment that the company released a cracked version of the jailbreak. First and foremost, and of utmost concern, is privacy. No one’s data was ever sent anywhere. Of course, as a member of the community whose work frees devices, it would be against everything we’ve worked for the last 7 years to jeopardize the security of the users of our software. To reiterate, no Taig software was installed unless the computer’s language was set to Chinese. Furthermore, no Taig software would run unless the user opened the Taig application. After rumors abound of encrypted data being sent for users in China who’ve installed Taig, we decided to do what we do best – reverse engineer the code of Taig to understand what was being sent. Taig transmitted data similar to what Cydia transmits. Unique device identifiers were transmitted in encrypted form similar to how Cydia uses SSL to protect the privacy of its users. Taig did not transmit any private user data from the devices at all. Our written and verbal agreement with Taig banned it. They assured us it was not in there. We did not check every package in their store but a cursory examination before release found no problems. However, after investigation and after notification from the community, we found examples, including pirated tweaks, Apple App Store apps, and even pod2g’s PodDJ app. We dropped the ball on this. While we at first did not believe Taig purposefully violated our agreement, the depth of the transgression against the software developers and the jailbreak community cannot be overlooked and we could not move forward after that even if it were fixed. We terminated our relationship with them. We are very disappointed that they have decided to put up a cracked version of the jailbreak on their site that installs Taig. We did not give them any permission or source code. There have been a lot of rumors listing various amounts we’ve been paid. We have received no monies from any group, including Taig. We will not be accepting any money. Our donations are being given to Public Knowledge, Electronic Frontier Foundation and Foundation for a Free Information Infrastructure to help protect jailbreaking as your legal right. We are working hard to fix the problems with the jailbreak. Unfortunately, it’s the holidays and we would like to spend time with our friends and family. The events of the last couple of days have been extremely stressful for us and we need some time to recover. We will work as hard as we can to resolve any remaining issues. Thank you for your understanding. We worked very hard to bring this jailbreak free of charge to the community. We hope you can all enjoy it. 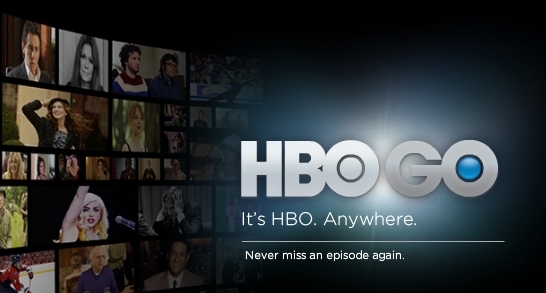 Reuters reported that HBO might consider a reversal of its previous position of not allowing access to HBO Go without a cable subscription. HBO Go launched 3 years ago to allow subscribers to watch shows on tablets, but the service is so far restricted to those who have a cable TV subscription with an HBO partner and pay a top-up HBO fee. Co-President Eric Kessler had previously, and rather naively, said in a video interview at VideoNuze that those abandoning cable TV for purely online viewing was “minimal” and a temporary response to the economy, and he said there was no reason to offer a standalone mobile service. This position now appears to be softening, with CEO Richard Plepler recognizing that a growing number of consumers want to choose both content and viewing platform at will. Companies like HBO are faced with a difficult tightrope act. While they earn billions of dollars from their existing sales model, any new offering that risks cannibalizing revenue is a frightening prospect for the company. Equally, however, it’s clear that ‘cable-cutting’ —giving up cable TV subscriptions in favor of online viewing— will only increase. Failing to respond to this is not an option. One number will be looming very large in front of HBO: 25 million. That’s the number of illegal downloads of its hit show “Game of Thrones”. While some substantial proportion of those people would download pirated content for free no matter what options were available, there is a growing phenomenon of illegal downloads by those who would be willing to pay for content simply because existing deals don’t allow them the freedom to simply pay for the content they want on the device they want. Apple opened its Mac App Store yesterday, offering Mac users an easy way to pick up and install new software on up to five machines — but within hours hackers began claiming to have hacked store security.